All shot with E330, ZD35/3.5, stf-22 twinflash. First shot is a single image. Second shot is a stack of 2 images. Third shot is a stack of 6 images. (The last is by far my most successful hand held stack to date!). I have no clue as to what any of the species are, sorry! 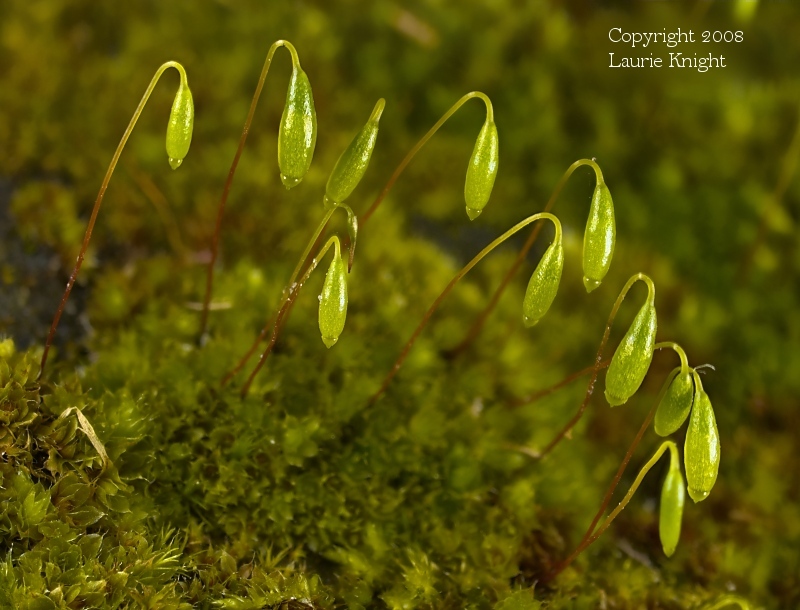 Nice shots Laurie,especially the last one with the sporophytes! Seems we all have pretty much the same species. 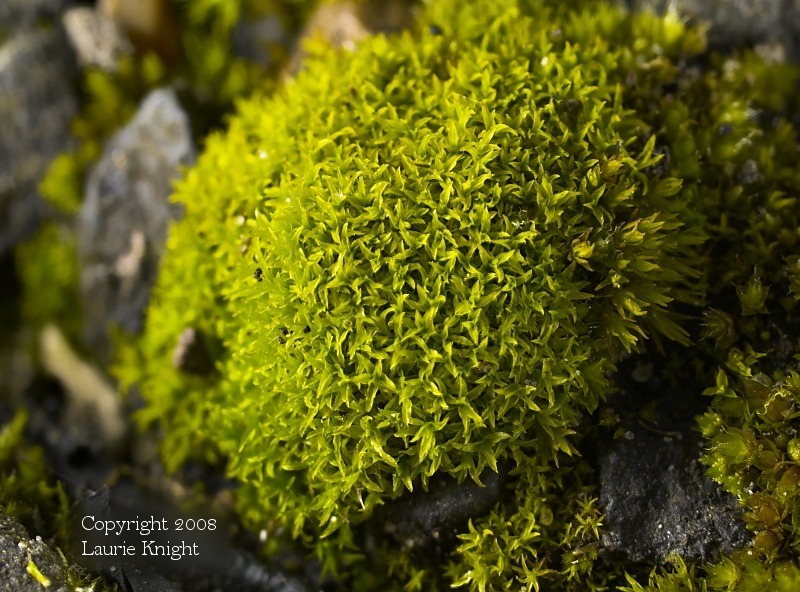 That last photograph is the best I think and probably the hardest subject, well for me anyway, to achieve any good depth of field with. I don't know how many spore capsules I have photographed and only had one may be two, if I am lucky, to be in reasonably good focus and this is even after having stopped down the lens to a photon or two squeezing through that tiny little hole. Ken if you like those spore capsules I did some close up stacks of some of these over in the technical forum! 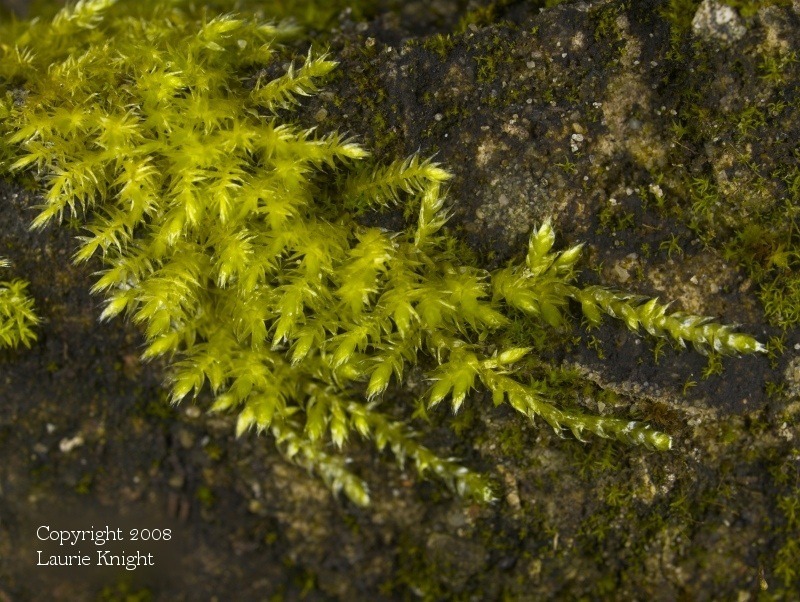 the capture and composition with the diagonal of the moss into the image is very good...the last looks like some fresh Lily of the Valley (?) ... very good shots there!